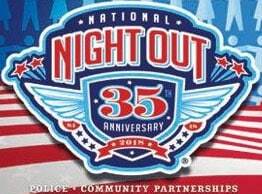 National Night Out is held in neighborhoods throughout Carroll County, and across the nation. Residents in neighborhoods can lock their homes, turn on outside lights and spend the evening outside with neighbors, the State’s Attorney Office, and law enforcement. Many neighborhoods will be hosting a variety of special events such as ice cream social, cookouts, and youth activities. Police officers will be stopping by the neighborhoods thought the evening. 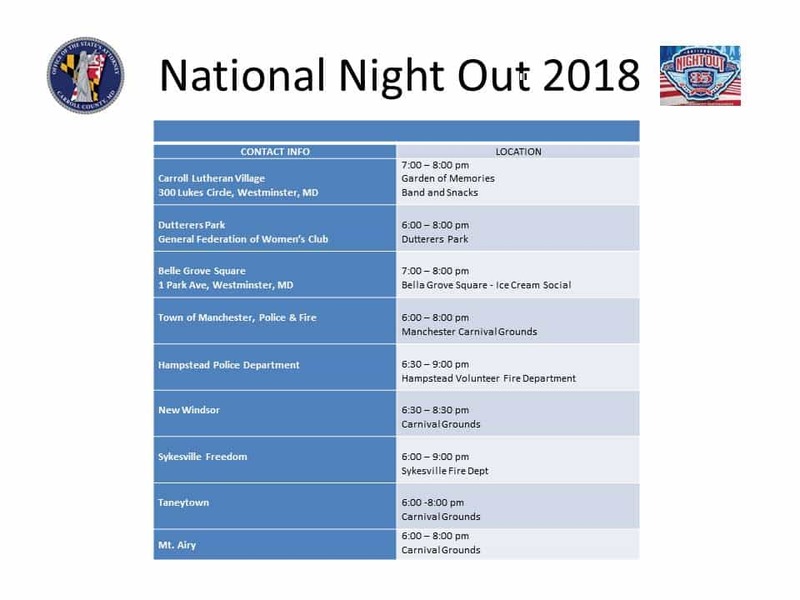 National Night Out is held on the first Tuesday in August. Please join our office and law enforcement around the county. You may contact the local police agency or sheriff’s office for specific locations and times. Thank you to National Night Out for the image.